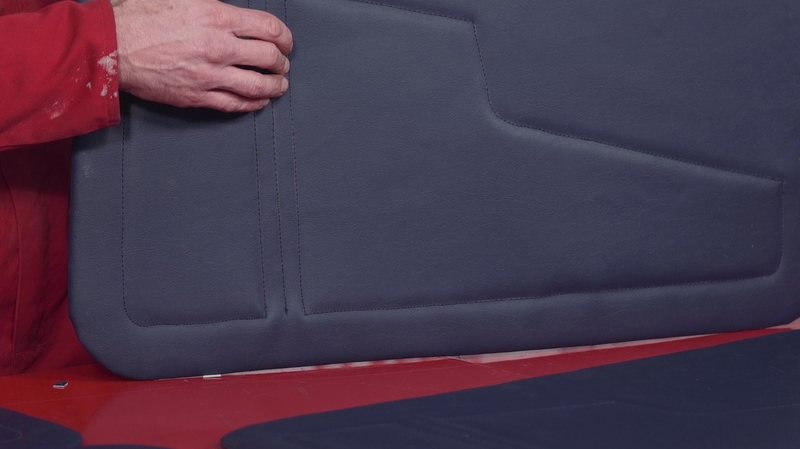 Ed demonstrates a simple upholstery project and demonstrates how to make and upholster a set of door cards from scratch. Over time door cards can get warped and water damaged, so fitting a new set is a simple way to make your car's interior look great. Ed shares his tips on choosing the right types of material to use to make the door cards, the tools required and how to prepare a set of bare door cards. To sew a design into the upholstery isn't difficult, and Ed shows you how to create a decorative stitching effect.